A stunning design that provokes the image of simple faith is the best way to define this ring offered by Apples of Gold. Forged of premium 14K yellow gold, the band brings classic beauty with all the loveliness of a golden glow. The image of a Holy Spirit dove is carefully wrought as the centerpiece of this ring. Crowned with a scintillating cubic zirconia stone, the dove is transformed into sparkling focal point for this faith-inspired ring. 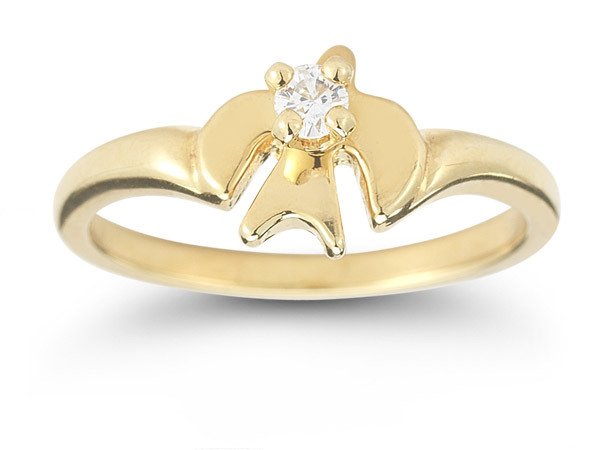 Apples of Gold Jewelry guarantees the Holy Spirit Dove Cubic Zirconia Ring in 14K Yellow Gold to be of high quality and an authentic engagement ring with real diamonds, as described above.